One of the greatest acting/comedy scenes in Disney Animation. That's actor Don Barclay as Mr. Smee pretending to give Captain Hook a shave. 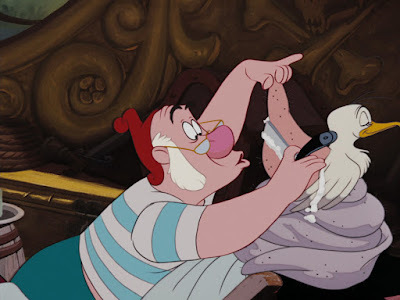 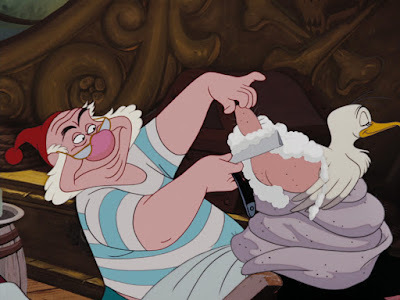 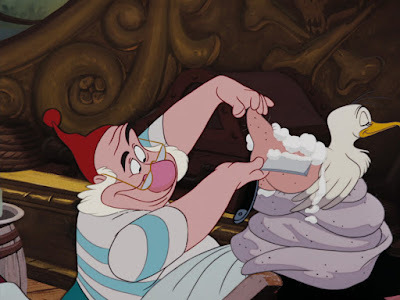 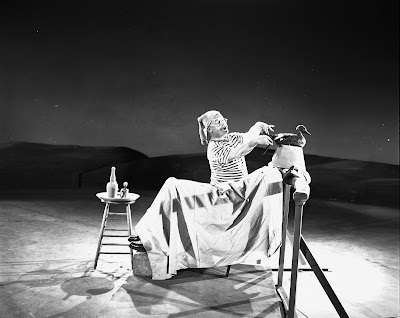 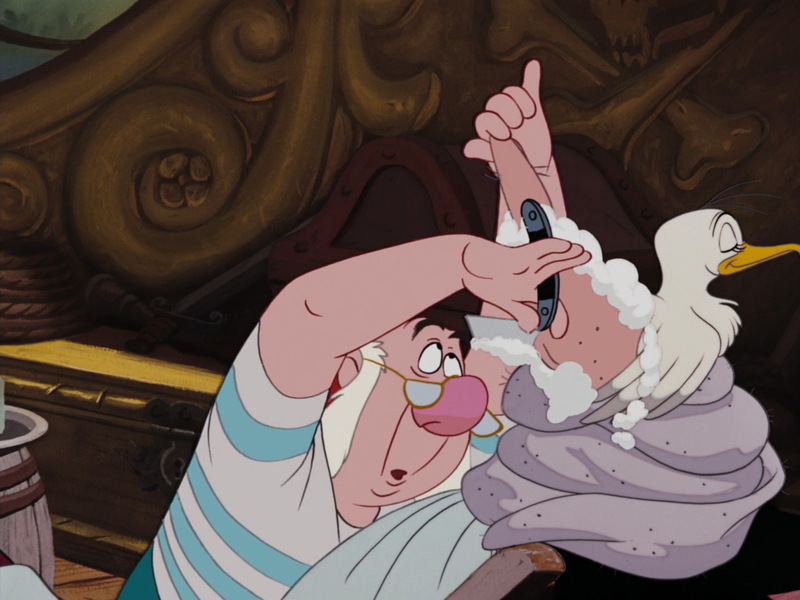 Of course Smee doesn't realize that he is actually shaving the rear of a seagull. 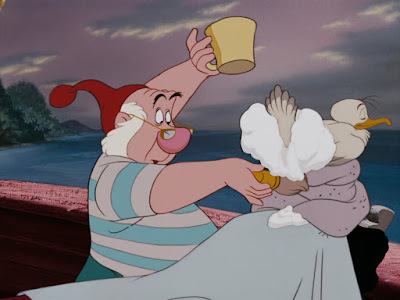 Ollie took great advantage of the comic possibilities. 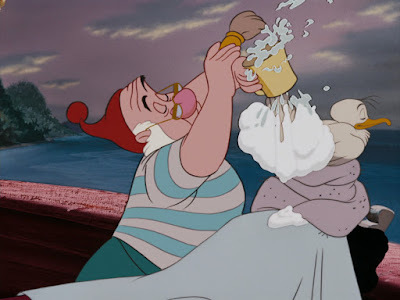 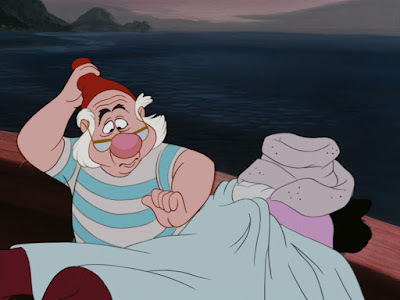 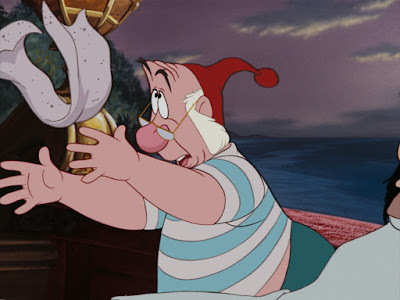 The staging is hilarious, I have no idea how he came up with Smee's exaggerated poses during this dialogue scene. 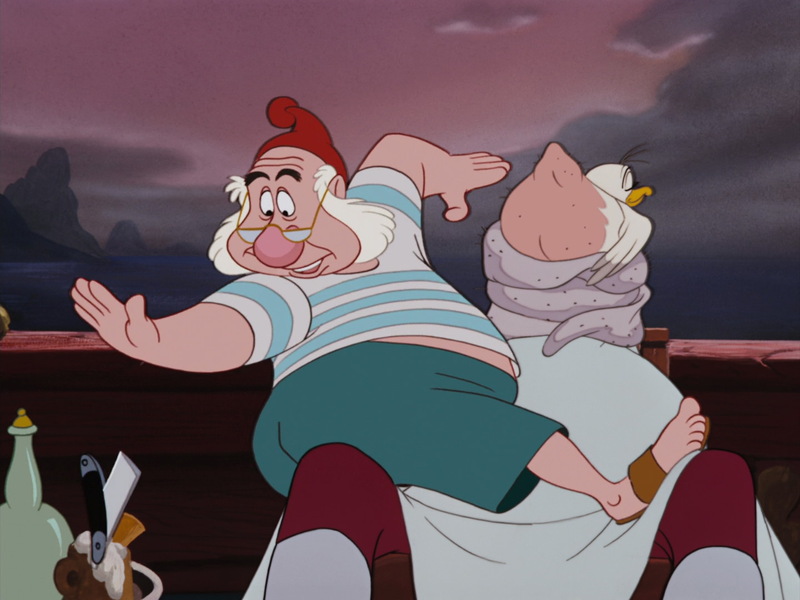 And his face shows amazing flexibility and range. 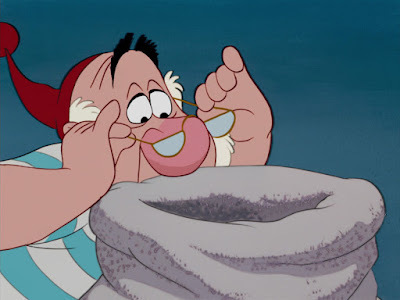 I love the nervous acting as he adjusts his glasses and pulls on his hat when realizing that Hook's head is missing. 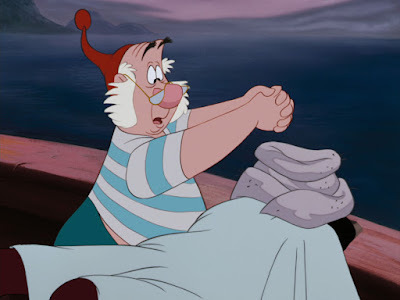 This is definitely a scene worth studying frame by frame, the timing is ingenious as well. 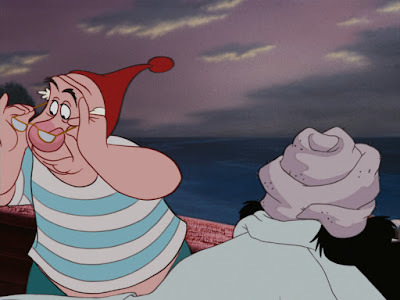 Ollie had Milt Kahl go over some of these expressions. 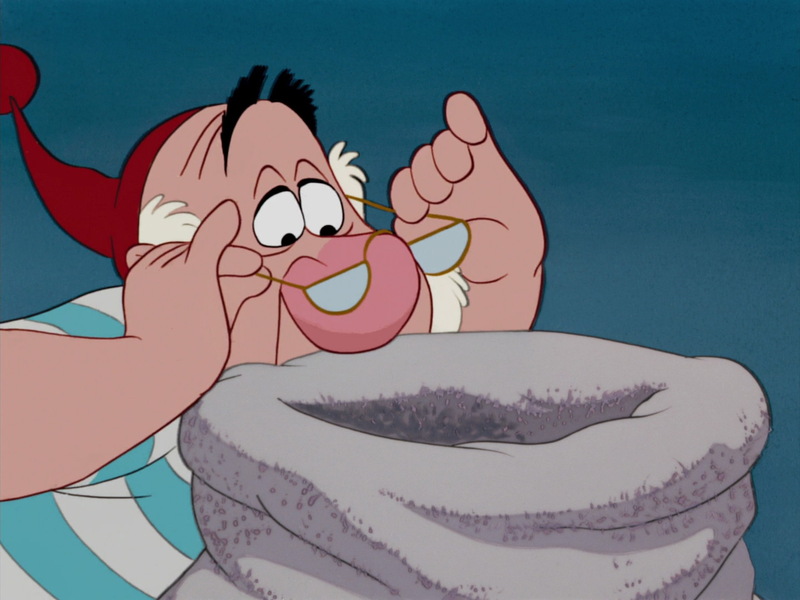 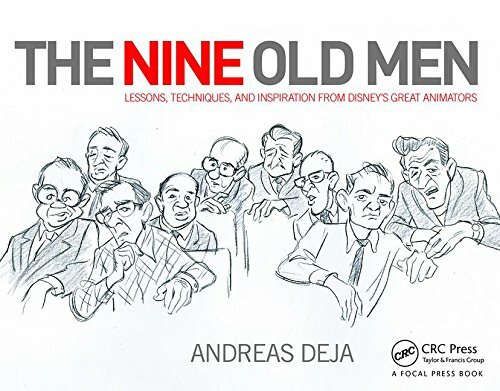 I do have a few of those sketches and will show them on my next post.